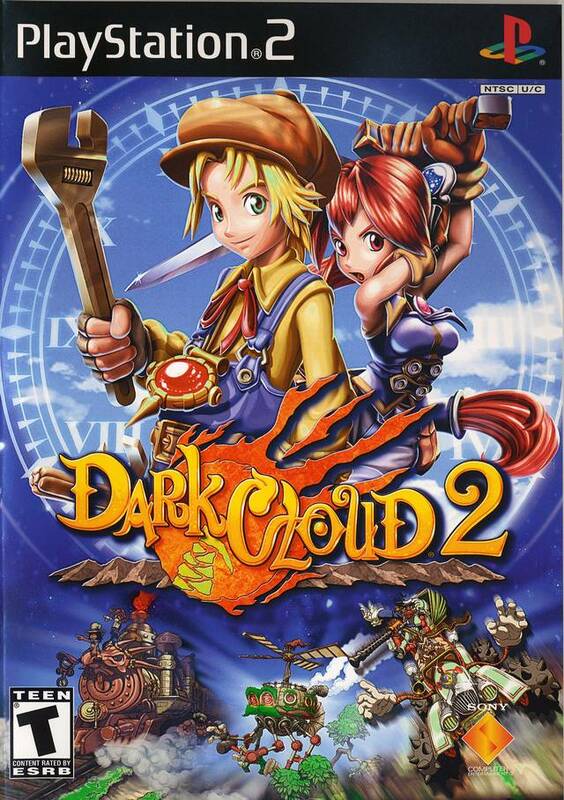 Dark Cloud 2 will take you to a world in which the past, present and future are all irretrievably linked. Fight your way through an array of unexplored lands, rebuild worlds with the enhanced Georama and tinker with the new Invention system to completely customize your adventure. Battle through monster-ridden dungeons with two different characters, each with multiple attack forms, special abilities and upgradeable weaponry. Rebuild the present world as well as the future. I have spent so many hours on this game. I relived my childhood! 10/10 on the game and ordering! 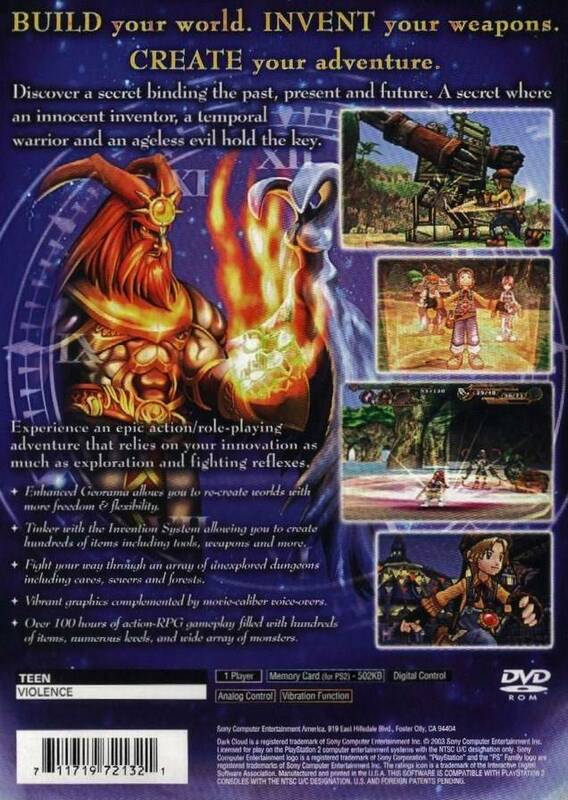 Another game I've put in a lot of time on. Great game and in great condition. Tks. as always for the fast delivery. Excellent game, have done business with lukiegames.com before and will continue to do so. Great staff they care about your purchase. Thanks. 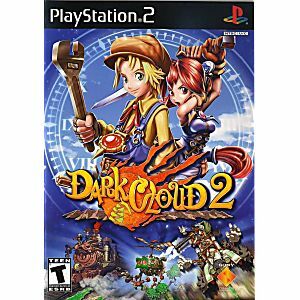 This is an exquisite game made by the Sony company for the play station 2 console. The music, voice acting, game play, humor, animation style, depth and overall uniqueness of the game are superb. The replay ability of the game is very apparent and even if you beat the story there is a great number of challenges for the pro dungeon crawler. Everything was as promised it was complete with book and front cover. Shipped fast.